3 Healthy Soup Recipes That You Must Try This Winter Season! Winter season is finally and what better weather than to get inside blanket and enjoy hot stuffs. Soups are one of the most popular dishes around the world, whenever the weather gets chilled. 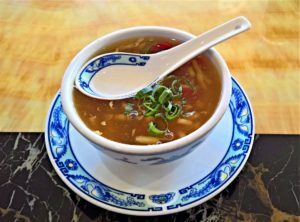 If you are a soup lover, then this one’s for you. 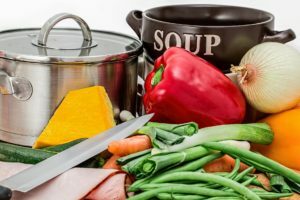 In this blog, I bring you 3 delicious and healthy soup recipes. You must have had this one at least once in a restaurant. It’s yummy and healthy as well. Ever thought about making it at home? If not, try it now. Finely chop 1/2 teaspoon garlic and 3/4 teaspoon ginger and keep them aside. Then, finely chop 1/2 cup of veggies of your choice. You can use cabbage, capsicum, carrot, etc. Next, take a pan/pot and add 1 tablespoon of oil. Add the chopped garlic and ginger to it. Saute for few seconds but do not turn them brown. Then add 1/4 cup chopped spring onions. Saute till they become translucent. Now, add your chopped veggies and saute for 3-4 minutes. Next, add 3 cups of water. Season this mixture with salt and pepper as required. Stir well and cover the soup with a lid. Cook on a medium flame till the veggies are almost done. Do not cook them completely, a little bit of crunch add more texture to the soup. Garnish with some chopped green onions and serve hot. This delicious recipe filled with the goodness of your favourite veggies is a must try. Chinese is everybody’s favourite. Whether it’s starter or main course, we love to dig into Chinese delicacies. So, here’s something for the Chinese lovers. This manchow soup recipe is full of veggies and flavours. It’s yummy and healthy as well. Heat some oil in a wok and add 1 sliced spring onion. Then, add 1 teaspoon each of ginger and garlic and saute for few minutes. Chop 3-4 Chinese mushroom, 1 medium carrot, 1/2 medium capsicum and 1/2 small cabbage. Add the chopped veggies to the wok and saute well. Then, chop 2-3 inch bamboo shoots into small pieces. Next, add 4-5 cups of vegetable stock and 2-3 chopped green chillies to the wok. Add 2 tablespoons soy sauce and 1 tablespoon red chilli sauce and mix well. You can add some chopped tofu and paneer also if you want. Mix 3 tablespoons of corn flour or corn starch with 1/4 cup of water and add to the soup. Mix well and cook, till the soup thickens. Add salt as required and mix well. Garnish with some fried noodles and black pepper powder and serve. It’s really delicious and a treat to every food lover. 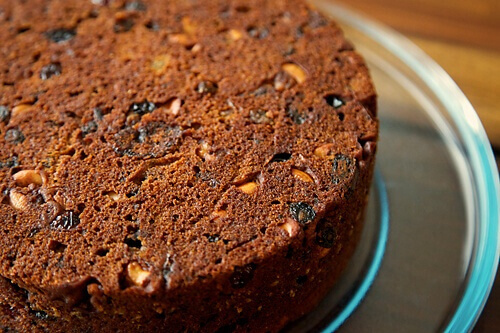 And the most classic recipe of the season is here. The simplest yet most tasty soup of all time. It’s basically a few ingredients recipe but holds so much of flavour. Let’s learn how to make this classic recipe at home. Heat 2 tablespoons of olive oil in a medium saucepan over medium heat. Add 1 medium chopped onion and saute well. Then, add 2-3 tablespoons of tomato paste, 3 minced garlic and cook for few minutes. Add 1 teaspoon sugar and 7-8 chopped tomatoes. Add a teaspoon of tomato ketchup and vinegar and mix well. Cover the pan and cook till the soup gets done. Once cooked well, remove from heat and blend into a smooth paste. Season with some salt and pepper and serve hot. This soup recipe is a must try. 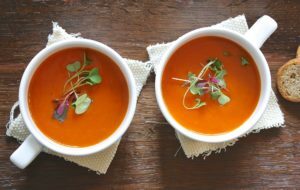 Try these yummy soup recipes and let me know in the comment. Would love to hear all your stories.